James is an Accountant with BFJ Financial Group. He provides diversified accounting, financial statement services, and tax services for both individuals and businesses. James is a licensed certified public accountant (CPA) and a member in good standing with the American Institute of Certified Public Accountants (AICPA) and the Maryland Association of Certified Public Accountants (MACPA).He has more than five years of experience in accounting, government auditing, financial statement services, and individual and business tax services. 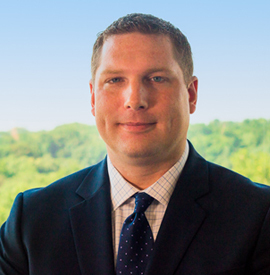 Prior to joining BFJ Financial Group, James served in the United States Air Force. In addition, he worked with the Defense Contract Audit Agency (DCAA) as an auditor, specializing in various audit engagements of Department of Defense and US Agency for International Development contractors. James currently resides in Severna Park, Maryland with his wife, Sara and two daughters. He enjoys spending time with his family and friends, fishing, golf, and any small amount of peace and quiet his life may afford him with two young kids.